Verisk Crime Analytics (“VCA”) respects your concerns about privacy. This Privacy Notice applies to personal information we collect. The Privacy Notice describes the types of personal information we obtain, how we use the information, with whom we share it, and the choices you can make about our use of the information. We also describe the measures we take to protect the security of the information and how you can contact us about our privacy practices. You may choose to provide personal information (such as your name and contact details) through the NER website at https://www.ner.net/ (the “Site”). Here are the ways you may provide the information and the types of information you may submit. We also tell you how we may use the information. You may contact us by filling in certain information on our “Contact Us” form, or our “Tell Me More About NER” form or by sending an e-mail. We require that you provide your name, company address, company name, e-mail address, and equipment information, and you may choose to provide additional information, such as your title and phone number. We use that information to respond to your inquiry. We may use and share all of that information, subject to applicable law, with our subsidiaries and affiliates, and with other reputable companies that wish to offer products and services in which our customers may be interested. You may submit a request to conduct an IRONcheck. We require that you provide your name, location, telephone, and e-mail address, and you may choose to provide additional information, such as your company name and address. In addition, we require that you provide machine information, including the manufacturer, model, type of equipment, and serial number. You may choose to provide additional information such, as the service hours, price new, and model year. NER collects information, including personal information, as part of the equipment registration process. When you choose to register your equipment, the site collects some basic contact information and identification information. We require that you provide your name, company, and e-mail address, and you may choose to provide additional information, such as your insurance company name, agent/broker, policy number, and deductibles. Also, you must create an account user ID and password, as well as set up some custom security question responses. The only parties who have access to individual loss and ownership data are those involved in the recovery of the equipment, such as law enforcement, your insurer, and NER investigators. We also collect information about our customers so that we can maintain and improve our relationship with them. For example, we will collect information about individuals who take NER training programs. We may use the personal information you provide to contact you to conduct surveys of our customers, to respond to your inquiries and suggestions, and to contact you for other reasons related to offering and improving our services. In addition to the uses discussed above, we may use the personal information you provide on our Site to operate, evaluate, and improve our business. Specific uses include developing new products and services; managing our communications; performing market research; determining and managing the effectiveness of our advertising and marketing; analyzing our products, services, and websites; and administering our websites. We also may use the information to protect against and prevent fraud and other liabilities and to comply with or enforce applicable legal requirements, industry standards, and our policies and terms. In addition, we may use the information we obtain through this Site in other ways for which we provide specific notice at the time of collection. When you visit our Site, we may collect certain information by automated means, using technologies such as cookies, web server logs, and web beacons. Cookies are files that websites send to your computer or other Internet-connected device to identify your browser uniquely or to store information or settings in your browser. Your browser may tell you when you receive certain types of cookies and how to restrict or disable certain cookies. Please note, however, that without cookies you may not be able to use all of the features of our Site. If you disable cookies, you may not be able to view some content, purchase products through any “shopping cart” functions, or process payments. 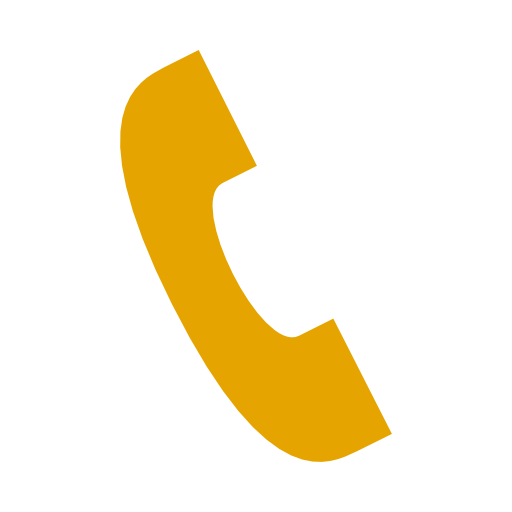 You can order any product by telephone by calling Customer Service at 866-655-1768. In conjunction with the gathering of information through cookies, our web servers may log information such as your operating system type, browser type, domain, and other system settings, as well as the language your system uses and the country and time zone where your device is located. The web server logs also may record information such as the address of the web page that referred you to our Site and the IP address of the device you use to connect to the Internet. They may also log information about your interaction with this Site, such as which pages you visit. To control which web servers collect information by automated means, we may place tags on our pages called “web beacons“ — small files that link web pages to particular web servers and their cookies. We use information collected online through cookies, web beacons, and other automated means for purposes such as customizing our visitors’ visits to the Site and understanding the manner in which our visitors browse the Site. We also use the information to help diagnose technical and service problems, administer the Site, and identify visitors to the Site. We gather information about our visitors to determine how much time visitors spend on pages of the Site, how visitors navigate through the Site, and how we may tailor the Site to meet the needs of our visitors. We use clickstream data to analyze the links a visitor to our site clicks and the time clicked. We do not sell or otherwise disclose personal information we collect on our Site, except as described here. We may share personal information we collect on this Site with service providers that perform services on our behalf. We do not authorize those service providers to use or disclose the information except as necessary to perform services on our behalf or comply with legal requirements. We may share personal information we collect on this Site with our affiliates, which may use the information for marketing purposes. We share identifying information only with law enforcement, with the entity that provided the information to us in the first place, and in accordance with your instructions. All other instances of information sharing involve only nonidentifying information. In addition, we may disclose personal information about you (i) if we are required to do so by law or legal process (such as court order or subpoena), (ii) to law enforcement authorities or other government officials, (iii) when we believe disclosure is necessary or appropriate to prevent physical harm or financial loss, or (iv) in connection with an investigation of suspected or actual fraudulent or illegal activity. We reserve the right to transfer personal information we have about you in the event we sell or transfer all or a portion of our business or assets (including in the event of a reorganization, dissolution, or liquidation). Should such a sale or transfer occur, we will use reasonable efforts to direct the transferee to use personal information you have provided to us in a manner that is consistent with this Privacy Notice. We collect personal information with consent or as otherwise allowed by law. We offer you certain choices about how we communicate with you and what information we obtain from you. You may choose not to receive marketing e–mail from us by clicking here. You also may ask us not to send you marketing communications by e–mail or other means by contacting us as specified in the “How to Contact Us” section below and we will honor your request. As required by applicable law, you may withdraw consent you previously provided to us. You may also, at any time, object — on legitimate grounds and free of charge — to the processing of your information. We will apply your preferences going forward. We may transfer the personal information we obtain about you to countries other than the country in which we originally collected the information. Those countries may not have the same data protection laws as the country in which you initially provided the information. When we transfer your information to other countries, we will protect that information as described in this Privacy Notice and in accordance with applicable law. In Canada, personal information collected from authorized users when logged in to NER products and services is stored within Canada. In other countries, personal information collected from authorized users when logged in to NER products and services is stored in the United States. We maintain administrative, technical, and physical safeguards designed to protect the personal information you provide against unauthorized destruction, loss, alteration, access, disclosure, or use. We use servers in both Canada and the United States to store our information as described above. We limit access to employees who have a legitimate need to know. We also require third parties to which we disclose personally identifying information to adhere to this policy and establish information security procedures. This Site may provide links to other sites. Companies other than Verisk Crime Analytics may operate those websites. Linked websites may have their own privacy policies, which we strongly suggest you review if you visit any linked websites. We are not responsible for the content of any websites we do not operate, any use of those websites, or the privacy practices of those websites. We may update our Privacy Notice periodically and without prior notice to you to reflect changes in our personal information practices or relevant laws. We will post the updated version on this page and indicate at the top of the notice when we made the most recent update. If you have any questions pertaining to this Privacy Notice or to any issue relating to how we collect, use, or disclose personal information, please contact us by e-mail at the following address: privacy@verisk.com.